Welcome to the latestest edition of GP’s crowdfunding round up, this is what’s been pinging on the radar at GP HQ. 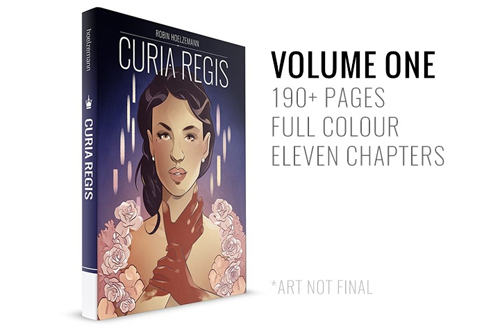 Curia Regis by Robin Hoelzemann is an on-going webcomic (you can read it here) which tells the story of Maren a courtier and Jacques a self- appointed monarch in training against the backdrop of revolution in 18th century France. Hoelzemann is wanting to collect the first eleven chapters together for Curia Regis Volume One. Curia Regis is an engrossing historical character drama with a story that features underhand machinations and machiavellian scheming along with a cast of interesting characters, there isn’t really anything else like it, Hoelzemann’s talent for depicting backgrounds, environments and architecture as well as people makes this world much more engrossing too. For more on Curia Regis go here. 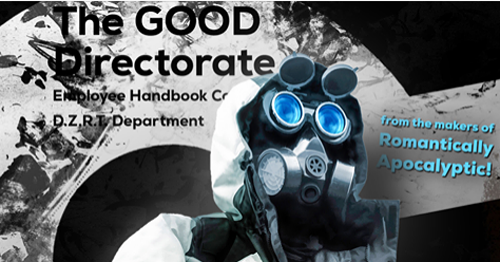 Snippy’s Dead Zone Tour Guide Book is a book about the world of Romantically Apocalyptic. For those that don’t know Romantically Apocalyptic is a post apocalyptic sci-fi webcomic (read it here) created by Vitaly S Alexius (with the help of various other folks) which is based around the misadventures of Zee Captein the unhinged egocentric commander of a crew of soldiers including Snippy, Pilot and Engineer. The webcomic is known primarily for two things, its twisted sense of humour and the lush art depicting the world the characters are exploring. The book is a good introduction to the world of Romantically Apocalyptic and also functions as guide book for Snippy as a citizen of Eureka, a sprawling mega-city and hub of civilisation on the ruined Earth. The guide book explains the rules and myriad factors of life for Snippy before he met Zee Captein and the rest of the crew. Ofcourse the book will be shot through with the twisted sense of humour that Romantically Apocalyptic is known for. Distict-Z-The Cult is a new stand alone game from Rubi-OH! Games set in the world of District Z featuring a dark, macabre art style and the hook of ‘something gone wrong’ in the Zombie infested apocalypse. Interestingly this a solo game rather than one that requires other players. Using a ‘choose your own adventure’ style rulebook, this is a brave move by Rubi-OH! Games, showing an exploration of an area in tabletop gaming that is still in relative infancy. Couple this with custom dice, four different starter characters and an engaging theme and it makes for interesting concept.